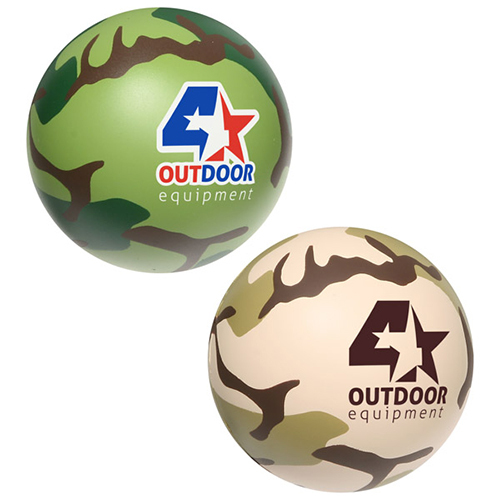 Our popular Camouflage Stress balls come in military green or neutral. You can order one or both styles. You can put a custom imprint on a camouflage stress reliever and hand them out at shows and events. A camouflage stress ball is a perfect promotion for the relief of stress due to repeated squeezing! Item Size : 2-5/8" dia.